How Are GST Returns Currently Being filed? What Is The New & Simplified Return Scheme? 1. What Is Section 43A? This section deals with the procedure for furnishing returns and availing input tax credit. There have been various changes in the GST return reporting framework since the introduction of GST. The intent of inserting the new section is to merely operationalise the changes in the return reporting framework as and when the same is introduced by the CGST Rules. The GST Council in its 27th meeting had proposed this simplified return filing structure for taxpayers. *The New Return Filing System will be introduced on a pilot basis from 1st April 2019, and take-off from 1st July 2019. 2. How Are GST Returns Currently Being filed? Currently, taxpayers are filing two monthly GST returns – GSTR-3B and GSTR-1. As of now filing of GSTR-2 and GSTR-3 has been suspended. 3. What Is The New & Simplified Return Scheme? Under the proposed new scheme, every registered taxpayer will have to file only one monthly return. The facility to upload invoices on a real-time basis will be made available. Suppliers can upload invoices anytime during the month before a cut-off and the invoices would be visible to buyers. The buyers will be eligible to claim the credit on a self-declaration basis even if the supplier hasn’t uploaded all invoices during the interim period of transition. The new GST return scheme aims to simplify the return filing procedure to a great extent. 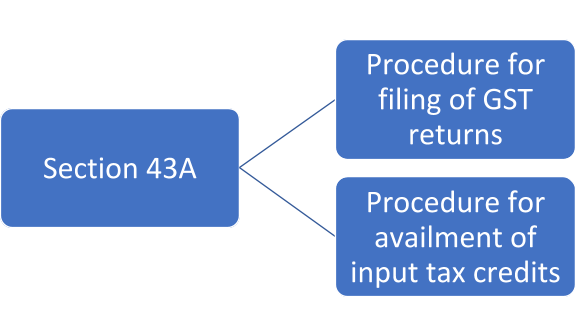 Section 43A operationalises the new GST return procedures. The detailed guidelines in rules are yet to be notified. It is expected that these rules would be issued in due course so that the exact details would be available to taxpayers well in advance. 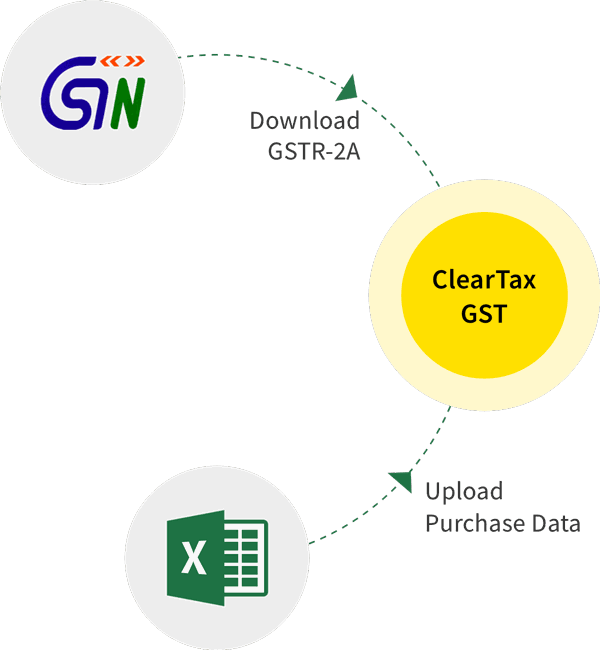 Section 38 of CGST Act [which deals with details of inward supplies].In a way, Section 43A intends to benefit taxpayers as it allows the taxpayer to avail ITC on a provisional basis in certain cases even if other conditions are not fulfilled.The CBIC has not yet notified how section 43A impacts GST returns filed. Every registered person will be able to amend/add/delete the details of inward supplies in the monthly returns. One possible scenario can be the recipient of supplies may be able to claim an input tax credit up to a value not exceeding 20% of a particular purchase invoice in hand. So if an invoice has input tax credit (ITC) amounting to Rs. 1,05,000, the recipient can declare the invoice but claim ITC only to the extent of Rs. 21,000 for a particular filing period. Another scenario in which section 43A can be interpreted is that a recipient can claim a provisional input tax credit up to 20% of the purchase invoices eligible for input tax credit, over and above the details already uploaded by the supplier. In this case, if the supplier has uploaded sales with ITC amounting to Rs. 1,00,000 for a period, the recipient can claim the input tax credit that shall not exceed Rs. 1,00,000 plus Rs. 20,000 for invoices not uploaded. Rs. 20,000 will be provisional ITC available for the invoices yet to be uploaded by the supplier, that can be claimed now but will be subject to invoice details uploaded later by the supplier. The supplier and recipient can be jointly and severally liable to a) pay output tax b) pay ITC availed, if the return is not furnished but details of outward supplies have been uploaded to the portal for availing credit. Recovery procedures for such output tax/ITC will be specified. However, if the amount involved does not exceed INR 1,000, the recovery proceedings can be waived off. Rules will be issued to provide details of the manner in which the details of outward supplies can be furnished in specified cases. Section 43A is important and much-needed relief to taxpayers and will reduce the concerns of the industry to a great extent.